The best place to run the speaker wire is in the stock wiring loom. This was difficult the first time, but was easier on the second door! 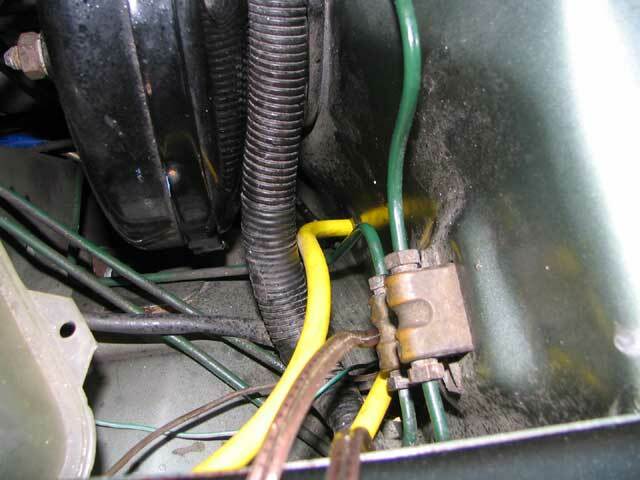 To make this easier I would recommend the smallest possible wire you feel comfortable fitting. 16-18 guauge will work just fine. 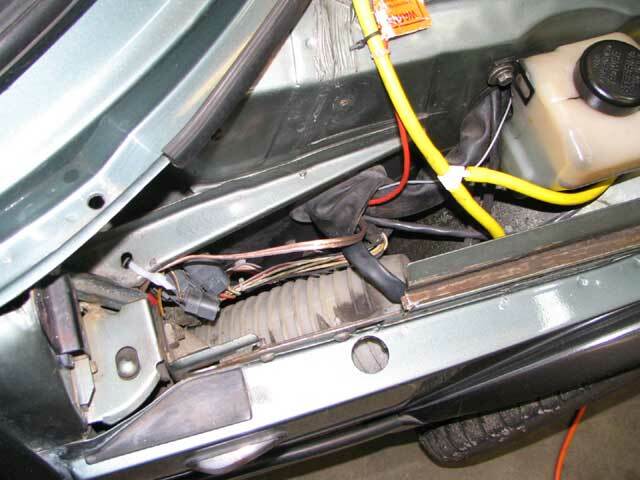 The rubber wiring cover is held to the door with a special tie-wrap. I'm not sure if this is available through the dealer, but you will not be able to run the wire without cutting this tie-wrap. I did not replace mine and so far I have had no problems. Pull the rubber cover off of the fender. I then used a coat hanger and started from the door and pushed it through the loom. Once on the other side, you must attach the new speaker wire to the coat hanger by attaching the speaker wire through a loop in the coat hanger and using tape to hold it on. I used needle nose pliers and create a small hook in the hanger. I then push the wire onto the hook and use tape to hold it in place. 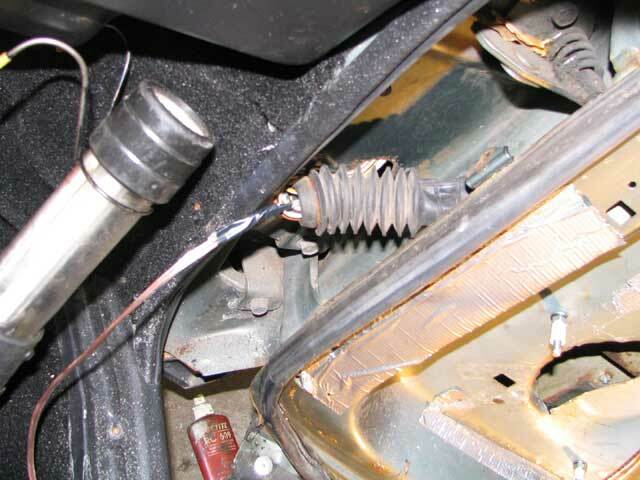 Now spray the wire down with some WD-40 or some kind of lubrication. This will help it slide through the rubber easier. Gently pull the coat hanger back out and VOILA! 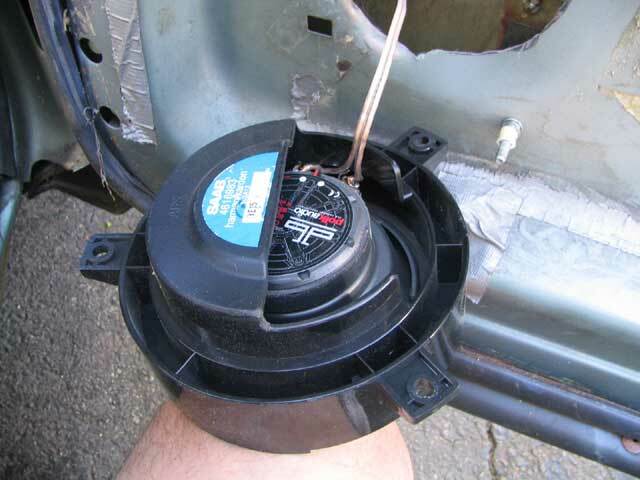 Now you need to get the speaker wire into the car. For the left side you can either drill a new hole and use a grommet or use the vacuum hose hole. For the right side I used the fuel injection loom. 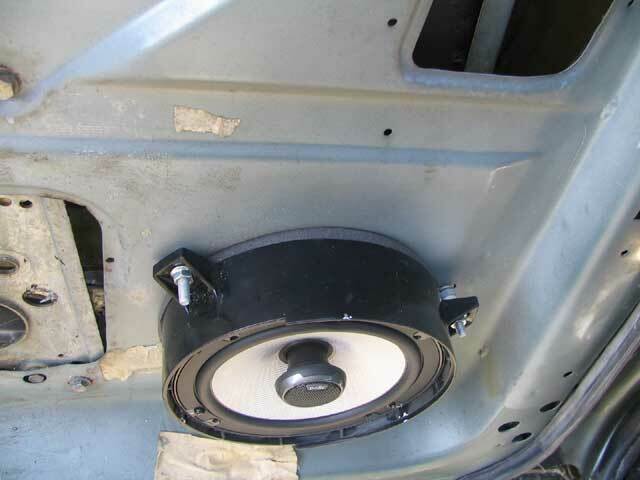 Now hook up the wire to the speaker and place it in the speaker mount. 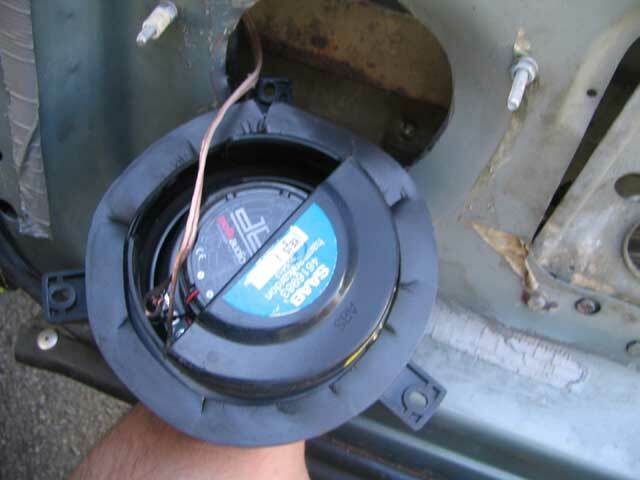 The speaker just screws into the mount with small sheet metal screws. Using foam insulation tape, cover the plastic case. This will make a tight seal between the speaker mount and the door.